There are a number of government agencies you must register with in addition to opening a bank account when starting a business in the Philippines and hiring employees. It is essential to register your business to avoid any legal problems once business operations begin. The following are the required steps K&C will perform on your behalf to legally register your new business in the Philippines. Most of the steps can NOT be performed simultaneously. These required steps must be performed one at a time. 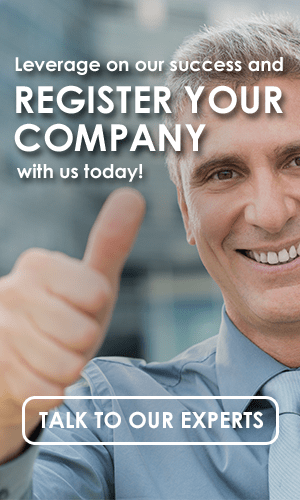 The first step is to register your preferred corporate name with the SEC while our lawyers work on the company’s articles of incorporation and by-laws. Once the AOI and By-laws are drafted, you may open the TITF account with your preferred bank. Companies applying for incorporation must open a TITF account with its preferred bank. The TITF account will serve as the temporary depository account of the required paid-up capital of the corporation. The basic requirements for the opening of a TITF account include the proposed articles of incorporation and by-laws, account opening forms with the specimen signature card to be accomplished by the treasurer-in-trust, valid identification cards of the treasurer-in-trust, and the minimum deposit required by the bank which ranges from P10,000.00 to P50,000.00 depending on bank. The bank will issue a certificate of deposit which is among the documentary requirements to be submitted to the SEC. SEC registration takes 10 to 15 working days upon submission of complete documentary requirements and if there are no holidays during this time period. After SEC registration, a company must obtain a taxpayer identification number (TIN), register its books of accounts, and apply for authority to print official receipts. Pag-IBIG Fund is also known as The Home Development Mutual Fund, which is mandatory for all employees covered by the Social Security System (SSS). The Pag-IBIG Fund essentially provides various types of loans. This clearance is obtained from the Barangay where the business/company is located. The fees depend on the Company’s paid-up capital plus an additional amount for taxes, fees, and other charges which may vary for each barangay. The basic document required is the notarized lease contract between the Company and the Lessor of its registered office.